We were up at 5:00AM to be greeted by the stillness of Vermillion Lake, in Banff National Park. 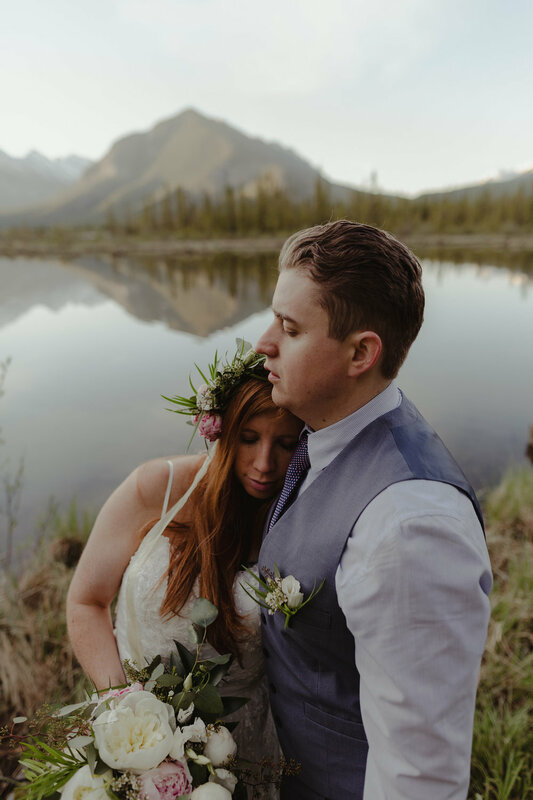 Bald Eagles hunting overhead, and beavers swimming the marsh - Ashley & Brad stood on a dock and told each other the sweetest handwritten vows I've heard. 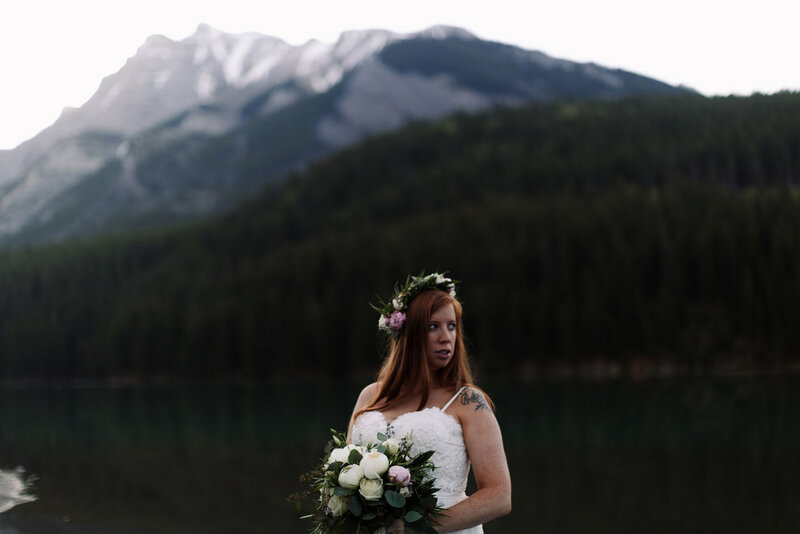 To travel to Alberta in celebration of his marriage was such an honor. Adventure elopements like this are one of my favorite things on earth.